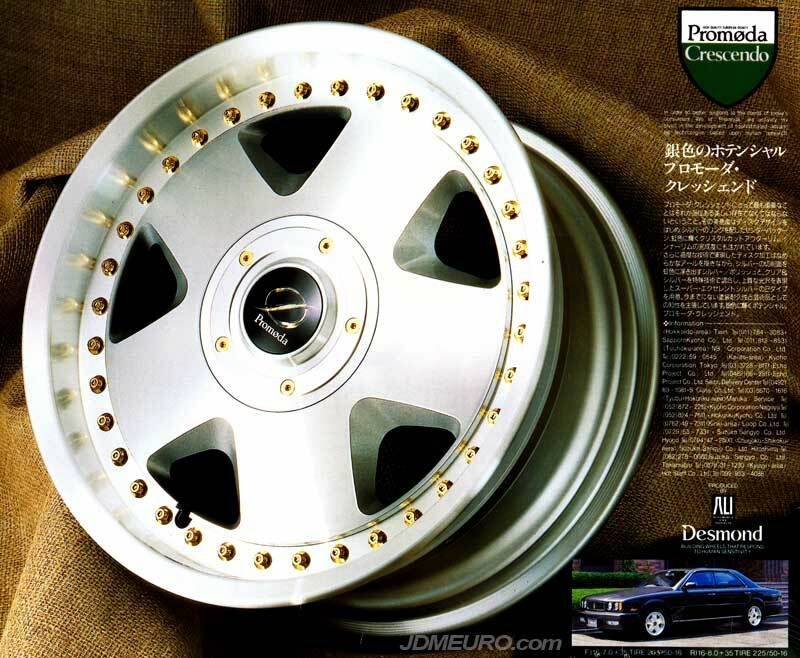 The Desmond Promoda Cresendo are JDM Wheels that have more of a VIP flare to them. Full thick spokes give a spartan look, and Gold Bolts and Logos give it that luxurious look. Desmond is of course known for their Regamaster line of wheels, this is one of their more rare offerings. Pictured are the Desmond Promoda Cresendo on a Y32 Nissan Gloria.